Open Studio, 10am-2pm, stop by, play with the work, and chat with the artist, Bay Area Discovery Museum, Sausalito. Olompali State Park Nature Journal Field Trip, 10am-4pm, with John Muir Laws, Novato. Sunday Special: Around the World in 80 Days, 11am, ages 5+, The Marin Theatre Company presents Around the World in 80 Days specially adapted for young audiences. Join Mr. Phileas Fogg and his faithful servant Passepartout as they hurriedly leave London in the middle of the night to circumnavigate the globe in a mere 80 days, Mill Valley Library. Valentine Card Making, 1-3pm, San Rafael Library. Creative Family Fun: Morse Code Message, 11am-4pm, ages 5-12, Presidio Officers Club, San Francisco. Tree Shadows Tu B’Shevat Puppet Show, 11:30am, Come celebrate Tu B'Shevat, the Jewish New Year for the Trees, with Daniel Barash of The Shadow Puppet Workshop, Contemporary Jewish Museum. Artist Studio with Ascha Drake, 1-3pm, Contemporary Jewish Museum. Share-a-book Dogs, 3:30pm, San Anselmo Library. Infant and Child CPR, 6:30-8:30pm, for expectant parents, parents, grandparents, and caregivers of children up to onset of puberty, Parents Place, San Rafael. Rube Goldberg, 5:30pm, ages 11-16 years, San Francisco. Valentine Making Party, 3:30pm, San Anselmo Library. Father Daughter Dance, 7pm, Belvedere Community Center. Montessori de Terra Linda Into the Woods, 7pm, Showcase Theatre, San Rafael. She's Beautiful When She's Angry, 7:30pm, in cinemas throughout the Bay Area. Swan Lake, 8pm, Marin Civic Center, San Rafael. Learn to Saltwater Fish, 9am, A limited amount of poles will be available on a first come, first-served basis, Paradise Beach Park, Tiburon. Aramburu Island Enhancement, 9am – 12pm Richardson Bay Audubon Center, Tiburon. Cancelled. Learn How to Build a Heart Box, 9am-12pm, Home Depot. Mt. Tam Healthy Parks, Healthy People Walk, 9:05am, easy guided hike, meet at Pantoll parking lot, Mill Valley. Yoga in the Park, 10am, great way to get active while giving to a wonderful park, and giving to yourself, McNears Beach, San Rafael. Cancelled. Junior Chef Class, 10am, ages 9–13, Asian Dumplings, Williams-Sonoma, The Village at Corte Madera. Kids Club, 10am-12pm, ages 3+, String Heart Art, Michael's, San Rafael. Ensambles Ballet Folklorico Performance, 11am, See the colorful dresses and intricate footwork of the Ensambles Ballet Folklorico, who will perform dances from across Mexico. Enjoy the rich culture of Mexico through dance, music and traditional costumes, Bay Area Discovery Museum. Junior Designer Camp, 11am, Fun with Color, Pottery Barn Kids, Village at Corte Madera. Valentine's Chocolate Tasting, 2-4pm, SweetE Organics, Strawberry Village, Mill Valley. Rubber Loom Bracelets, 2-3pm, Marin City Library. Valentine Jewelry for Teens, 4-5:30pm, Fairfax Library. Owls of Tennessee Valley, 4:30pm, Marin Headlands. Oceans Aglow: Family Night Hike & Campfire, 5:30pm, Join us for a night hike to Rodeo Beach in search of bioluminescent plankton twinkling in the sand, NatureBridge, Sausalito. Giants FanFest, 10am, San Francisco. Healthy Parks, Healthy People, 2-4pm, Meet in from of the Presidio Visitor, 105 Montgomery at the corner of Lincoln Boulevard. Doing and Viewing Art, ages 4-12, 10am, deYoung Museum, San Francisco. Drop-In Science, 10:30am, make fireworks in glass, Randall Museum. Chantey Sing at Hyde Street Pier, 8pm-Midnight, San Francisco. Creative Family Fun: Russian Babushka Buddies, 11am-4pm, ages 5-12, Presidio Officers Club, San Francisco. Sterling Bubblesmith and his amazing Bubble Show! 11am, JCC of the East Bay Theater, Berkeley. Black Point Boat Launch Spruce-up, 9am, ages 12+, mildly strenuous and involves bending, pulling, and kneeling and hiking on steep and uneven terrain, Novato. Open Studio, 10am-4pm, stop by, play with the work, and chat with the artist, Bay Area Discovery Museum, Sausalito. Pom Pom Valentine Creature Craft, 2-3pm, Marin City Library. Jay Alexander, 2pm & 5pm, world-renown Master Illusionist Jay Alexander in an amazing, funny and unique magic show, Showcase Theatre, San Rafael. English Tea Party, 2-4pm, join the characters of Alice in Wonderland for a tea party, benefit for Fairfax Parks & Recreation, Women's Club, Fairfax. Valentine's Crafts, 2-3pm, enjoy cupcakes, pink lemonade, and valentine card crafting, Tutu School at Marin Country Mart, Larkspur. Fundraiser Trips for Kids, 3-6pm, meet mountain bike pioneers such as Gary Fisher, Joe Breeze, Ned Overend, Tom Ritchey, Scot Nicol, Juli Furtado, Otis Guy, Charlie Kelly, Ross Shafer, Steve Potts, Chris Chance, Mert Lawwill, Rick Sutton, Mark Slate, Maurice Tierney and Dave Garoutte, Marin Museum of Bicycling, 1966 Sir Francis Drake Blvd. Fairfax. Magic, Comedy and Juggling with Captain Jack Spareribs! 11am, Randall Museum, San Francisco. Cais Performance, 12pm, enjoy modern Chinese music and dancing to roll in the Year of the Ram, Asian Art Museum, San Francisco. Animals of the Zodiac with Oliver Chin, 3pm, Asian Art Museum, San Francisco. The Brian Waite Band! 11:30am, filled with great, upbeat music and characters that tell a story and engage all the kids, Kanbar Center for the Performing Arts, San Rafael. Natasha Yim - Goldy Luck and the Three Pandas, 1pm, Chinese American retelling of "Goldilocks and the Three Bears," a careless Goldy Luck wreaks havoc on the home of a family of panda bears, Book Passage, Corte Madera. Preschool Super Fun Sundays: Reading Rocks, 10-11:30am, story time with Mr. Lunch, accordion books in the art studio, kids’ rock band the Corner Laughers. Stay for more family fun at Tales and Tails: A Celebration in Partnership with SFPL and enjoy art-making, the SF SPCA’s Puppy Dog Tales, free cake, and more! Contemporary Jewish Museum. "Luv" Bug Valentine Craft, 6:30-7:30pm, Marin City Library. JAMaROO Music Time - plus bonus free play! 9:30-10:15am, 9 months – 4 years, sing, play simple instruments, read stories, balance bean bags, and dance with streamers to a variety of music from around the world, Parents Place, San Rafael. Nature Journaling 101, 10-11:30am, Richardson Audubon Center, Tiburon. Hands-on Storytime for School-aged Children, 3:30-4:30pm, ages 5-8, Corte Madera Library. “Who Am I” Black History Month Biographical Bingo, 4-5pm, Marin City Library. Boys and Discipline, 6:30-8:30pm, 2 – 10 years, San Rafael. Preparing your Relationship for Baby, 6:30pm, Parents Place, San Francisco. Recycled Valentines, 2:30pm, ages 2-13, Save the planet and recycle the love! Make beautiful Valentine cards from colorful throw-aways, Mill Valley Library. Gentle Discipline, 6pm, Peekadoodle, San Francisco. Cupcake Decorating, 3-6pm, Poppy Store, Marin Country Mart, Larkspur. Make a Valentines Book Card or Bookmark, 4-5pm, Marin City Library. San Anselmo Library's 100th Birthday Party! 7-8pm, Come celebrate the Library’s 100th birthday with a historical reenactment, thoughts on the future, live music, costumes, food, and birthday cake! San Anselmo Library. Meet the Author, Aliona Gibson, 11am, ages 3-5 years, reading "Justice upon di Road" about her travels to Jamaica with her toddler son, Sunset Library, San Francisco. Infant Gourmet 101: Making Fresh, Easy, and Tasty Food for Your Little One, 10:30am-noon, 0 – 12 months, with Cristina Serafyn, co-owner of Baby Bites, Parents Place. YouthSpark Winter Camp, 3:30pm, ages 11-13, Microsoft Store, Corte Madera. Family Lantern Night, 5-6:30pm, Experience winter in the park with a lantern walk, which will conclude around a cozy fire with storytelling and hot chocolate. Bring a story to share! Rob Hill Campground, San Francisco. Creativity Workshop with Benesse, 11am-3pm, Celebrate your creative side with activities designed to get you thinking. Make light fly, create music with pen and paper, and animate a light cube. Benesse Corporation will be here, all the way from Japan, to showcase some of its best activities for lifelong learning, Lawrence Hall of Science, Berkeley. Saint Valentine's Festival, 9:00am - 2:00pm, Celebrate Saint Valentine’s with the whole family at the Marin Country Mart Farmers Market, include, sugar cookie decorating, a creative reuse heart art project, an old-fashioned photo stand, face painting, pony rides, and lovely live music. 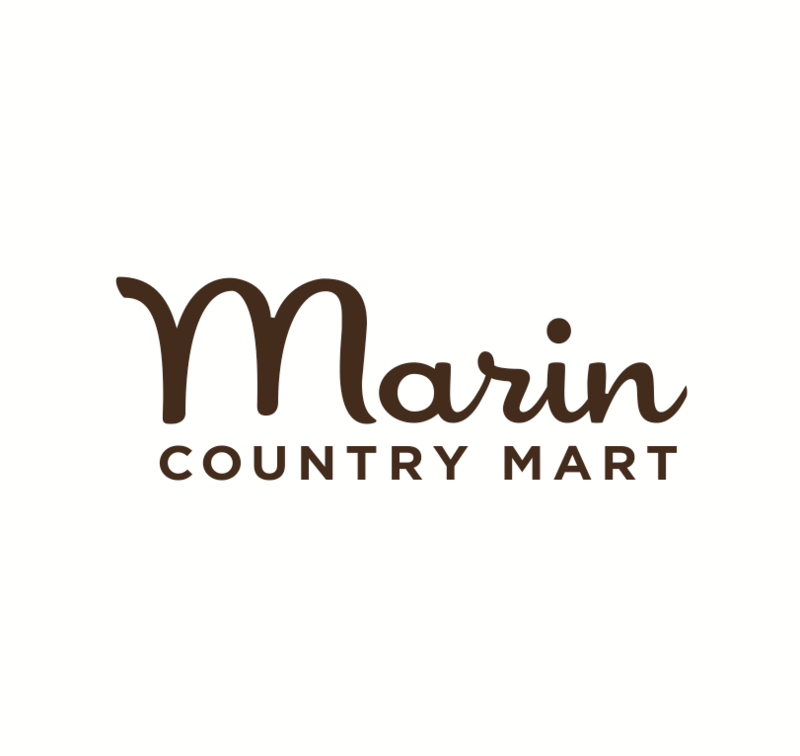 Marin Country Mart, Larkspur. Rick’s Broom Patch, 9am, ages 5+, Meet at the gate at the end of Freitas Parkway in San Rafael. Junior Chef Class, 10am, ages 9–13, 52 New Foods: Stir Frying, Williams-Sonoma, The Village at Corte Madera. Kids Club, 10am-12pm, ages 3+, Puzzle Piece Necklace, Michael's, San Rafael. Share-a-book Dogs, 1pm, grade K+, Practice your read aloud skills with a Marin Humane Society SHARE-a-Book dog in a supportive atmosphere. Sign up for a 15-minute appointment by calling 415-389-4292 x4741, Mill Valley Library. Towering Trees of Muir Woods, 1:30pm, use your senses to explore the woods. Bessie Coleman Biography Storytime and Airplane Craft, 2-3pm, read a short biography about the Bessie Coleman, the first African-American female pilot. We’ll then make our own airplanes out of clothespins and popsicle sticks, Marin City Library. Evening Hike on the Big Rock Trailhead, 4pm, unwind as we end a beautiful winter day on the Lucas Valley Preserve to see one of the best sunset viewing spots in Marin Open Space, Meet at the Big Rock trailhead in San Rafael. Candlelight Tour, 6:30pm, Fort Point, San Francisco. Harriet Tubman & The Blues, 11am, Marcus Shelby presents a musical tribute to freedom fighter, Civil War hero, and Women’s Suffrage champion Harriet Tubman, this concert will be followed by a Family Workshop in Joe Henderson Lab,Miner Auditorium, San Francisco. Tết - Tết Festival, 10:30am-5:30pm, Vietnamese New Year filled with live entertainment, great food, games, and much more, United Nations Plaza, San Francisco. Family Volunteer Day at Mountain Lake, 9-10:30am, snacks provided, San Francisco. Creative Family Fun: Chinese New Year Fans, 11am-4pm, ages 5-12, Presidio Officers Club, San Francisco. Afternoon Art, 1pm and 4pm, make a leather medicinal bag, Randall Museum. Drop-In Science, 10:30am, manipulate polymers and make a bouncy ball, Randall Museum. Flower Market Fair, 10am-8pm, Chinatown. Mad Hatter Valentine’s Tea Party, 10am-12:30pm, crafts and Valentine’s Day fun! Make your own Cheshire cat smile, mad hatter hats, cute caterpillars, and more, Schultz Museum, Santa Rosa. Family Science Days, 11am-5pm, San Jose Convention Center. Headlands Helping Hands: The Great Backyard Bird Count, 9:30am, It is time for the annual Great Backyard Bird Count, and we need your help! Learn how to identify Marin County frequent flyers while counting birds around Rodeo Lagoon, Sausalito. Down Time Music, 12:30-1pm, explore bluegrass instruments like the mandolin and fiddle, Contemporary Jewish Museum. Mr. Lunch Adventure Maps, Mr. Lunch loves to go on adventures. Where would you like to go? Create an adventure map filled with waterways, forests, exotic cities, or whatever you choose! Contemporary Jewish Museum. Flower Market Fair, 9am-6pm, Chinatown. Chinese New Year, 9am-5pm, celebrate the Year of the Sheep, Bay Area Discovery Museum. Presidents Day Paddle, 9am, family friendly paddle board race for all ages, McNears Beach Park, San Rafael. Nature for Kids: Roy’s Redwoods, 10am, the redwood forest comes to life in the wet season; ferns, mosses, and mushrooms are all around, banana slugs and newts are on the move, and there are lots of insects and other interesting animals hiding under logs and rocks, Meet at the Roy’s Redwoods Loop trailhead on Nicasio Valley Rd in San Geronimo. Chinese Performing Arts of America Youth Group, 11am & 1pm, Come celebrate Chinese New Year with this talented ensemble of youth and adult dancers, Bay Area Discovery Museum. Junior Designer Camp, 11am, Textile Design 101, Pottery Barn Kids, Village at Corte Madera. Open Studio, 12-4pm, stop by, play with the work, and chat with the artist, Bay Area Discovery Museum, Sausalito. Mardi Gras San Francisco Style, includes a free concert in the Fillmore Plaza followed by a New Orleans-style processional through the Fillmore, San Francisco. Infant Sleep Solutions, 10am-noon, birth – 12 months, Parents Place, San Rafael. Game & Puzzle Day!, 2:30pm, Roll the dice, spin the spinner, or work a giant floor puzzle. Fun for the whole family! Mill Valley Library. Celebrate the Sky: Make Your Own Mobile, 3-4:30pm, Sausalito Library. Wild Canines of Marin, 6:30pm, discuss the habits and identifying characteristics of our canine neighbors: Foxes and coyotes. We will provide hot chocolate and snacks, McNears Beach Park, San Rafael. Stay warm and cozy inside the McNears Beach snack bar and learn about the wild canines of Marin. Disney on Ice presents Let's Celebrate, 7:30pm, Use the passcode 'MOM' and save 40% on tickets to any show Monday through Friday and save 20% on tickets to any show on Saturday or Sunday, SAP Center, San Jose. You're a Good Man, Charlie Brown, Berkeley Playhouse. Lake Fishing for Kids, 9am, try to reel in the biggest fish in the lake, Stafford Lake Park, Novato. YouthSpark Winter Camp - Smart Game Design, 3:30pm, ages 8-10, Microsoft Store, Corte Madera. Disney on Ice presents Let's Celebrate, 10:30am & 7:30pm, Use the passcode 'MOM' and save 40% on tickets to any show Monday through Friday and save 20% on tickets to any show on Saturday or Sunday, SAP Center, San Jose. Creekside Restoration with Save The Bay, 9am, ages 5+, Meet across from Marin General Hospital at Hal Brown Park at Creekside. Junior Chef Class, 10am, ages 5–13, Chicken Fingers, Williams-Sonoma, The Village at Corte Madera. Kids Club, 10am-12pm, ages 3+, Tissue Paper Frame, Michael's, San Rafael. Junior Designer Camp, 11am, Create a Mood Board, Pottery Barn Kids, Village at Corte Madera. YouthSpark Winter Camp - Smart Game Design, 12pm, ages 8-10, Microsoft Store, Corte Madera. Creative Family Fun: Mexican Metal Art, 11am-4pm, ages 5-12, Presidio Officers Club, San Francisco. Chinese New Year Concert and Imperial Dinner, 4pm, Music, family and tradition: these three things are at the heart of the San Francisco Symphony’s Chinese New Year celebration. Lunar New Year Celebration, 9am-2pm, free (garden admission required), performances, hands-on activities, and more, San Francisco Botanical Gardens. Afternoon Art, 1pm and 4pm, DIY wallet, Randall Museum. Drop-In Science, 10:30am, make glow in the dark slim, Randall Museum. Bob Marley's Three Little Birds, 11am & 2pm, Children's Creativity Museum, San Francisco. Monster Jam, 7pm, Oakland Coliseum. Disney on Ice presents Let's Celebrate, 3pm & 7pm, Use the passcode 'MOM' and save 40% on tickets to any show Monday through Friday and save 20% on tickets to any show on Saturday or Sunday, SAP Center, San Jose. Bob Kahn, 11am, Magician, Juggler & Tongue Twister, Mill Valley Community Center. Opening Party, 1-3pm, enjoy food, meet the artist, activities, Bay Area Discovery Museum. Kente Cloth Craft, 1-2pm, Kente ("KEN-tay") is one of the most famous cloths from Africa. We’ll be using construction paper and markers to design our own Kente cloth, Marin City Library. Karen Quest – America’s Funniest Cowgirl, 11am, Randall Museum. Disney on Ice presents Let's Celebrate, 11am, 3pm & 6:30pm, Use the passcode 'MOM' and save 40% on tickets to any show Monday through Friday and save 20% on tickets to any show on Saturday or Sunday, SAP Center, San Jose. Webinar: Supporting You Child’s Transition to Kindergarten, Noon-1pm, Parents Place. Blook Club, 4-5pm, grades 3-6, reading Smile by Raina Telgemeier, Novato Library. Anansi the Spider Storytime and Craft, 6:30-7:30pm, Marin City Library. Neal Shusterman & Eric Elfman - Edison's Alley, 6:30pm, Book Passage, Corte Madera. The Incredibles: Family Movie Afternoon, 3pm, Sausalito Library. Ali Partovi, Co-Founder Code.org, 4-5:30pm, LinkExchange, Marin County Office of Education, 1111 Las Gallinas Avenue, San Rafael. For the Love of Food Kid's Cooking Class, 6-8:30pm, share the experience of cooking together with kid friendly recipes that will get them excited about dinner, Taste Kitchen & Table, 71 Broadway Blvd, Fairfax. Disney on Ice presents Let's Celebrate, 7:30pm, Use the passcode 'MOM' and save 40% on tickets to any show Monday through Friday and save 20% on tickets to any show on Saturday or Sunday, Oakland Arena. Wayne Huey of Red Panda Acrobats, 4pm, Come and see thrilling feats of acrobatics! Wayne Huey of Red Panda Acrobats will be performing moves guaranteed to amaze you with juggling, handstands, tightly fitting into a cylinder and more! Belvedere-Tiburon Library. The Neuroscience of Learning Differences, 6pm, free, adults only, Dr. Fumiko Hoeft, UCSF associate professor and director of BrainLENS (Laboratory of Educational NeuroScience), shares an integrated approach in understanding learning differences, Bay Area Discovery Museum. Is That Me Yelling? 6:30-8:30pm, all ages, Parents Place, San Rafael. Adult & Teen CPR, 6:30-8:30pm, Parents Place, San Rafael. Infant Massage, 6:30-8:30pm, pre-crawling babies 6 weeks and older, Parents Place, San Rafael. Charlie & The Chocolate Factory, 7:30pm, Mill Valley Middle School. Beauty and the Beast, 6:30pm, Young Performers Theatre, San Francisco. Disney on Ice presents Let's Celebrate, 10:30am & 7:30pm, Use the passcode 'MOM' and save 40% on tickets to any show Monday through Friday and save 20% on tickets to any show on Saturday or Sunday, Oakland Arena. Ring Mountain Grassland Restoration Project, 10am, Meet at the gate at the end of Taylor Rd in Tiburon. Family Hike to Fairway Falls, 10am-12:30pm, Ignacio Valley Open Space Preserve. Junior Chef Class, 10am, ages 9–13, Cake Baking, from Start to Frosting, Williams-Sonoma, The Village at Corte Madera. Marin County Pride Minor League Football Fun, 10am-2pm, autographs, games, giveaways and more, Northgate Mall, San Rafael. Birth Brunch, 11am, Sprout, Mill Valley. Charlie and the Chocolate Factory Read-Aloud Marathon, 11am, ages 7+, listen to the classic adventures of young Charlie Bucket inside the chocolate factory of eccentric chocolatier Willy Wonka while enjoying yummy chocolate treats, Corte Madera Library. Chinyakare Ensemble, 11am, Chinyakare Ensemble presents the incredibly varied spectrum of Zimbabwean music and dance, Bay Area Discovery Museum. Charlie & The Chocolate Factory, 1pm & 7:30pm, Mill Valley Middle School. Hinokio, 1pm, captivating family feature from Japan, 11 year-old Satoru becomes withdrawn after he loses his mother in a devastating auto accident. His dad, a famous scientist, creates an advanced remote-controlled robot named Hinokio, so that Satoru can stay home but still attend school through his robotic surrogate, Smith Rafael Theatre, San Rafael. Stitching Stars, 1pm, American tradition of a quilting bee, Marin City Library. Marin Shakespeare's Teen Company- "Macbeth", 2pm, free, all ages, experience an edgy, abridged Young Adult adventure story of Scotland's most famous king, featuring witches, ghosts, and sword fights, Larkspur Library. Evening at Muir Woods, 4:30pm, As the sun sets below the Dipsea Ridge and Muir Woods transitions from day to night, come see and hear the subtle changes of an ancient redwood forest. Creative Family Fun: Japanese Karp Kites, 11am-4pm, ages 5-12, Presidio Officers Club, San Francisco. Middle School Science Fair, 1pm and 4pm, make a monster bookmark, Randall Museum. Beauty and the Beast, 2pm & 4:30pm, Young Performers Theatre, San Francisco. San Francisco History Expo, 11am-5pm, The Old Mint, San Francisco. Disney on Ice presents Let's Celebrate, 11am, 3pm & 7pm, Use the passcode 'MOM' and save 40% on tickets to any show Monday through Friday and save 20% on tickets to any show on Saturday or Sunday, Oakland Arena.